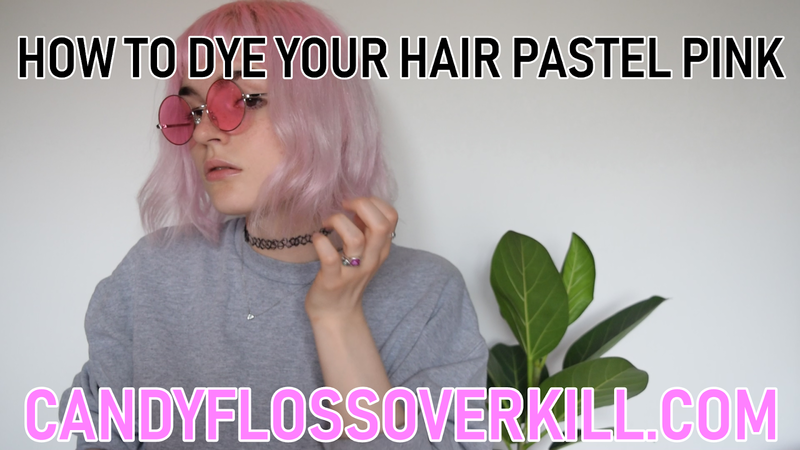 I've been enjoying my (potentially) last summer of pastel hair, and last time I dyed my hair I decided I might as well film a quick tutorial for Youtube. I know there are tonnes of these videos floating around, but I still thought it might be fun, plus it's good to practise editing and stuff. I used Directions Carnation Pink, which I've been using for like 6 years (eek!) I tend to stick with either this or Bleach London's Rosé. This one is much better value for money because you can dilute it with conditioner, but Bleach London is available in Boots and Superdrug so I tend to be more easily tempted to pick up a bottle. When I dyed my hair this time, the roots came out suuuper bright, so I toned it down by washing it with silver shampoo. Although I'm still a huge fan of pastel hair, I definitely don't think that bright pink suits my skin tone- I prefer a cooler toned pastel pink for sure. I topped up the colour with lavender a week later, and for now I'm washing it with Bleach's Rosé Shampoo to maintain the pastel hue to my hair, but I'm going to let it fade back to silver soon. I actually made my own DIY pink shampoo last Christmas, and that's something I'd definitely recommend because it was super cheap and looked really good (if I do say so myself). What's your favourite hair colour? Mine is definitely silver on me, but I'm loooving yellow at the moment! I don't think I'll be able to dye it yellow soon, but one day!